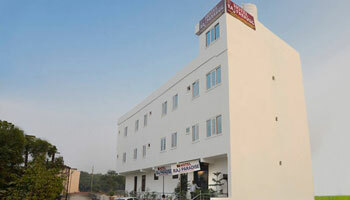 Hotel Raj Paradise, a budget hotel in Agra is located approximately 2 km away from the famous monument of love - Taj Mahal. Each room is well-furnished with a television and an attached bathroom. Guests can select from single and double occupancy stay. A well-carpeted conference room with chairs and table can accommodate upto 150 people. Guests can avail of internet access to stay connected. This is an intimate hotel in Agra provides dramatic views of Agra Culture. Agra's most conveniently located hotel in the city offering smart, contemporary and best in class serve & facilities. Only Minutes away from all famous tourist attraction. Doctor on Call, Laundry Facilities, Room Service, Parking, Travel Counter, Airport Transportation, Security Guard, Backup Generator, Breakfast Services, Currency Exchange. Air Conditioning Room, DVD Player, House Keeping, Cable/Satellite TV, H/C Water, Attached Bathroom, Wakeup Calls, Toothbrush/Razor on Request, Iron/Ironing Board.